My face is up here! 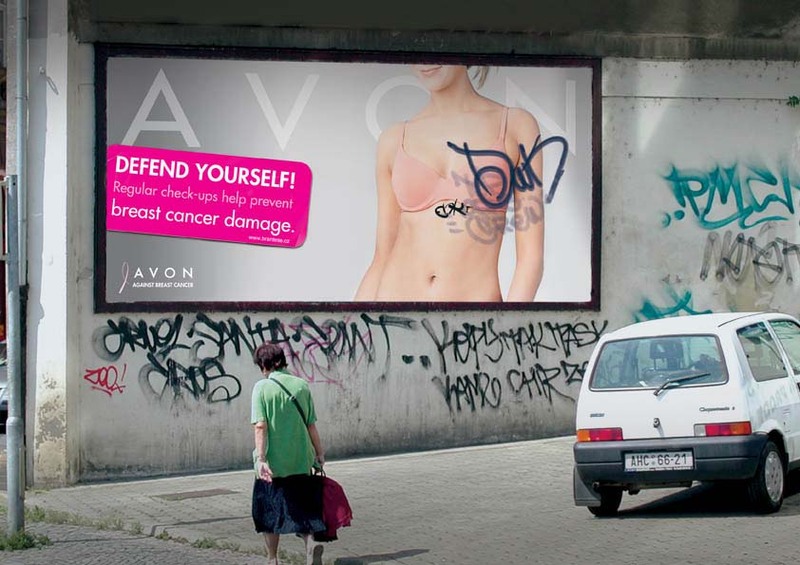 While the use of graffiti in advertising usually backfires, this campaign aims at a less exploitive approach. Unlike Iran, Avon commercializes cover ups. Avon's 2005 Defend Yourself! 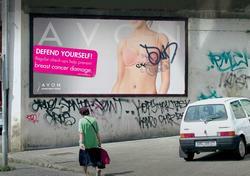 campaign for breast cancer prevention leverages outdoor media placements for unique designs. Credits out to Mark/BBDO.